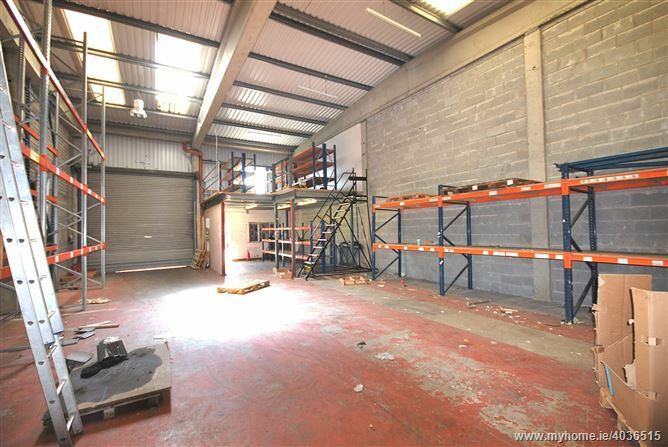 LOCATION: Large industrial/warehouse unit consisting of approximately c. 174 sq. m (c. 1900sq. 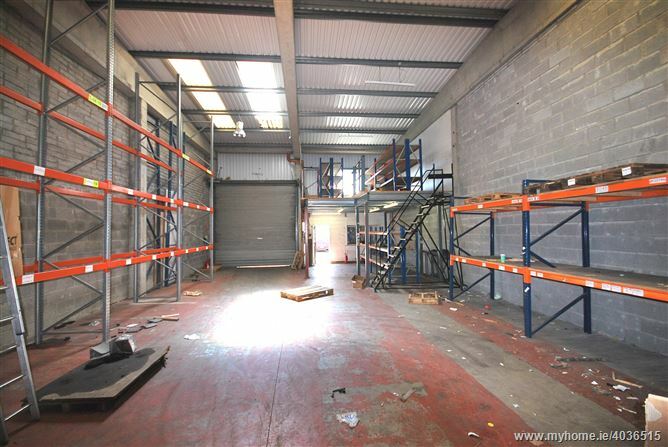 ft) with small mezzanine floor. 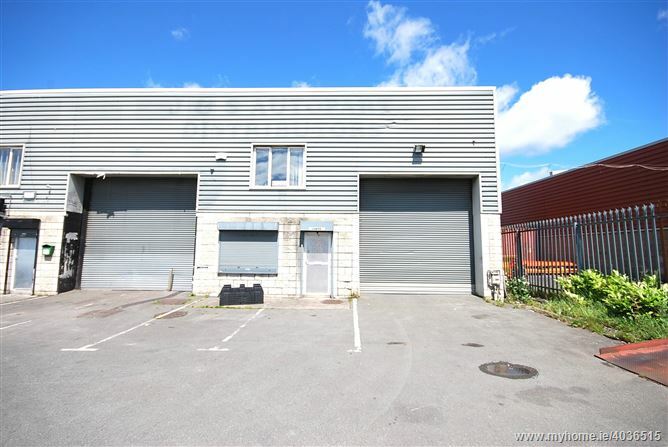 The property is located on Crag avenue, the estate is well established, secure and is most sought after. 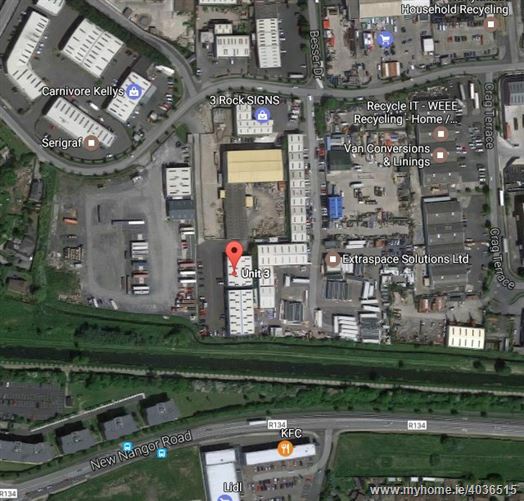 Very convenient to the Naas road and M50 network. 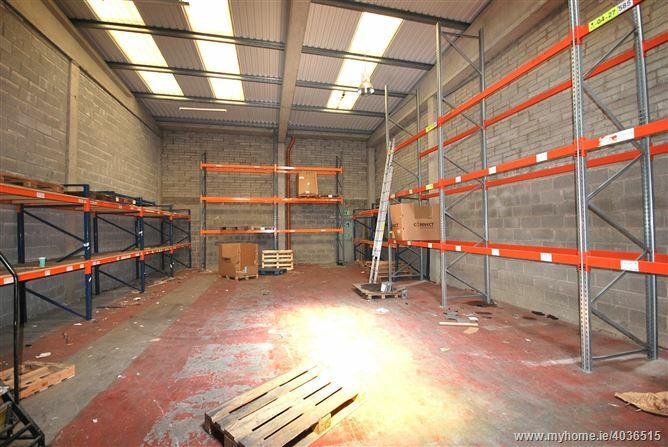 The estate itself boasts all similar type units of office and storage uses. 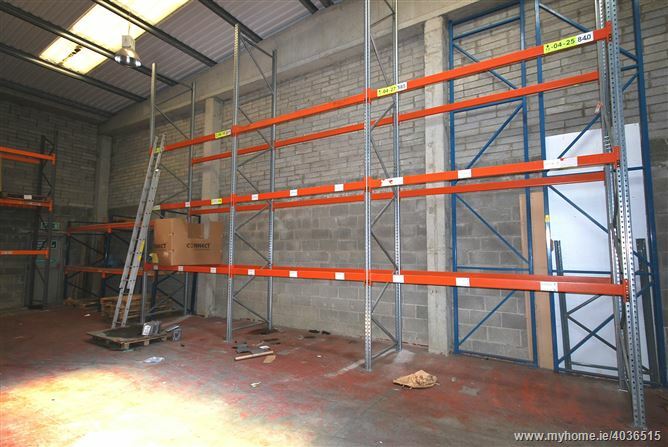 The building is of steel frame construction with concrete block infill walls. 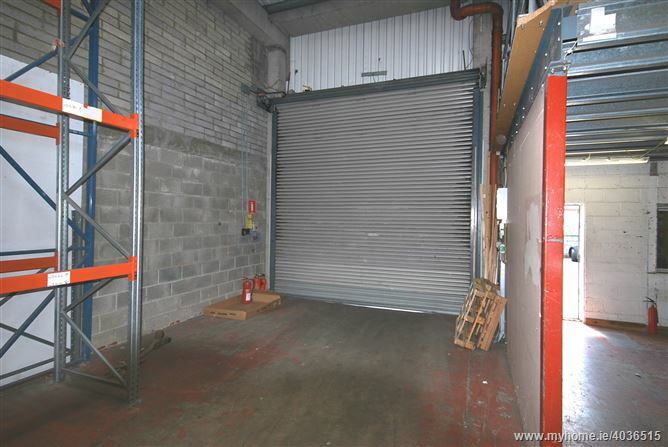 The warehouse has an eaves height of c. 6m while access is via electric roller shutter door c. (4m x 4m) to the front elevation with security doors at front and rear of the building.